These cookie press cookies are made with fresh lemon juice and zest. Sprinkle the cookies with yellow colored sugar before baking to make them more festive. In a mixing bowl, combine the butter, lemon juice, and lemon peel. In another mixing bowl, combine the flour, sugar, and salt. 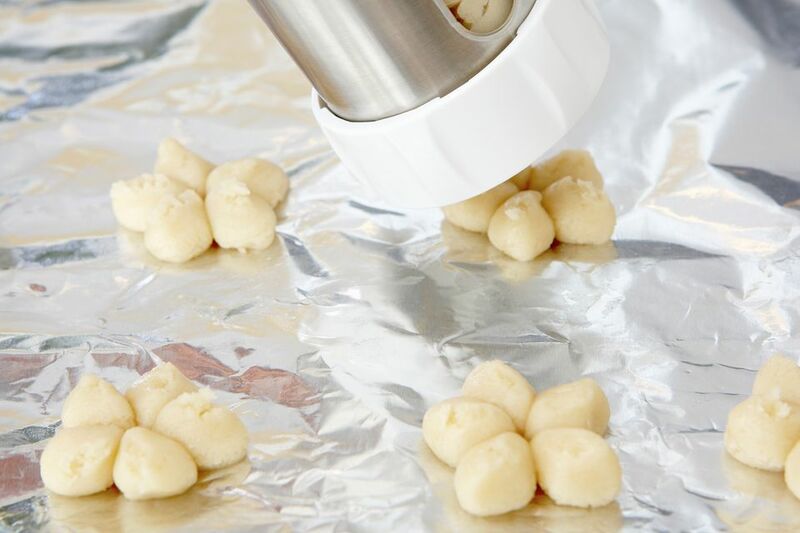 Spoon dough into a cookie press with a fitted template of the desired shape. Press cookies 2 inches apart onto prepared baking sheets.